You are here: Home / General Information / Animals Today September 9, 2017: Animal idioms. 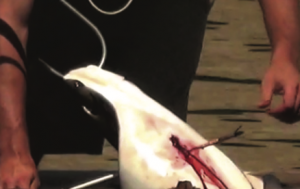 Ending cownose ray killing contests. Dementia in dogs. Will SeaWorld survive? A rescue and hospice for homeless senior dogs. We begin with Peter and Lori talking about idioms and expressions having to do with animals. Unfortunately many of them are not very nice, but we offer some happier substitutes. Peter then welcomes back Stu Chaifetz, Animal Cruelty Investigator with SHARK. 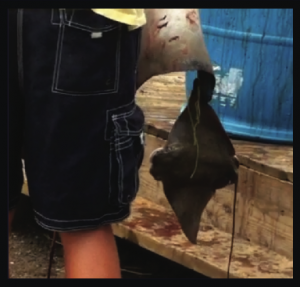 The SHARK team has released videos from Maryland of cownose ray killing contests, which are incredibly cruel events where hunters use bows and arrows to kill these docile creatures. This evidence has led to a moratorium on the contests in the state, and legislation to outlaw the killing is expected to be introduced soon. Lori then speaks with Veterinarian Stephen Hanson, who specializes in Neurology at the Veterinary Neurology Center in Southern California. Their topic is important for many families with older dogs, dementia, or canine cognitive dysfunction. Peter then wraps up the show, first describing the substantial struggles SeaWorld is enduring as its business model crumbles, and then chatting with Kim Skarritt, the delightful and dedicated founder and director of Silver Muzzle Cottage, a rescue and hospice for senior dogs, in Elk Rapids, Michigan. Very interesting blog. Enjoyed reading this.